Do you love playing music, games and videos on your computer? 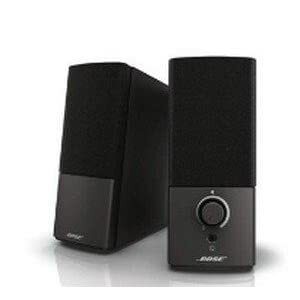 Wait until you try it with the Bose Companion 2 Series III multimedia speaker system. 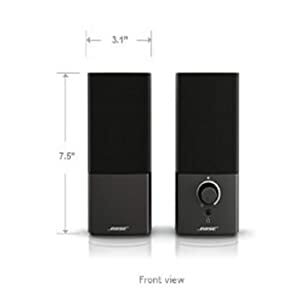 You’ll enjoy performance that’s significantly better than your original speakers, and it’s the most affordable computer speaker system from Bose. You can access a world of entertainment on your computer. 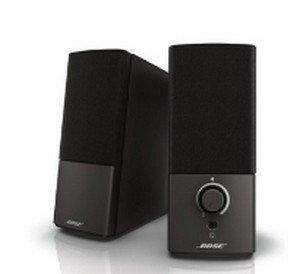 Bose engineering makes sure you hear it all with just two compact, elegant speakers. Unique digital signal processing produces clear, full sound at any volume. So you’ll enjoy your favorite music, videos and streaming content even more than before. Sit down at your computer or laptop and get ready to hear sound that seems to extend far beyond the actual speakers. It’s spacious and lifelike, made possible by TrueSpace stereo digital processing circuitry. Don’t just play music, games and videos-feel them. You’ll notice deeper low-end performance and more detailed sound, thanks to the speakers’ ported cabinet design. Everything you need is in the box, and you can start enjoying better sound in minutes. Volume control and headphone jack are on the right speaker. Use the auxiliary input to bring Bose performance to another audio source such as your iPhone or iPad. Upgrade your sound-and your experience-with Bose Companion 2 Series III speakers. Love playing music, games and videos on your computer? 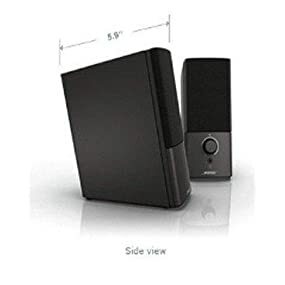 Wait until you try it with the Companion 2 Series III multimedia speaker system. You’ll enjoy performance that’s significantly better than your original speakers – and it’s our most affordable computer speaker system. You can access a world of entertainment on your computer. Bose engineering makes sure you hear it all with just two speakers. Unique digital signal processing produces consistently clear, full sound at any volume. So you’ll enjoy your favorite music, videos and streaming content even more than before. Sit down at your computer or laptop and get ready to hear sound that seems to extend far beyond the actual speakers. It’s spacious and lifelike, made possible by TrueSpace stereo digital processing circuitry. Don’t just play music, games and videos—feel them. You’ll notice deeper low-end performance and more detailed sound, thanks to the speakers’ ported cabinet design. Everything you need is in the box, and you can set up in minutes. Volume control and headphone jack are on the right speaker. Use the auxiliary input to bring Bose performance to another audio source such as your iPhone or iPad.